BEFORE THE BIG SHAVE: Russell Turner and Ben Hanson. 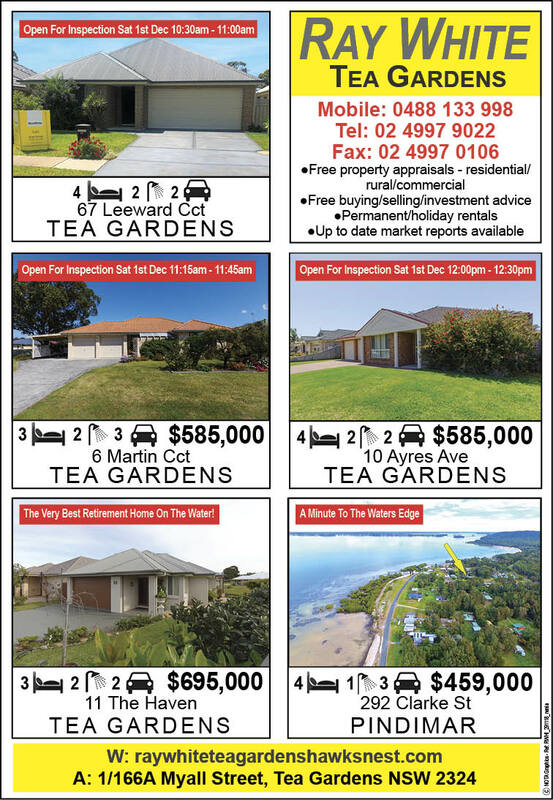 THERE were a couple of close shaves at the Tea Gardens Hotel last Saturday but all in a good cause. 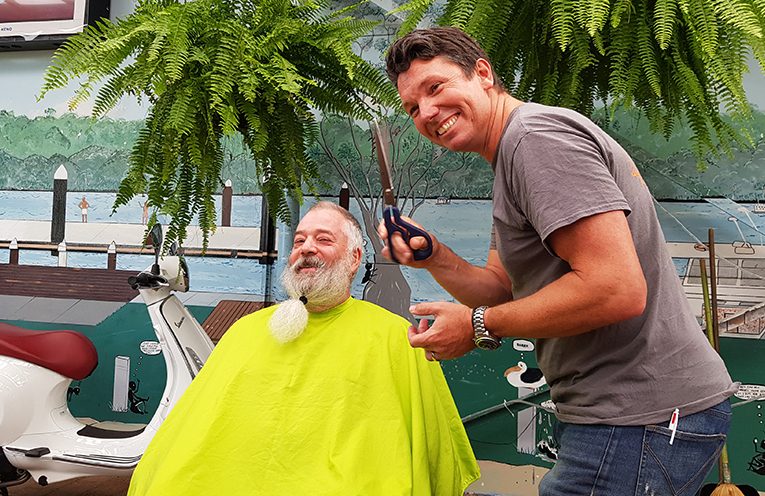 The pub’s atrium was turned into a makeshift barber shop so Tea Gardens Post Office owner Russell Turner and Pub owner Ben Hanson could do their bit for the ‘Movember Big Shave’ fundraising campaign. For Russell, it was the culmination of a 12 month long campaign of whisker growing and raising funds for prostate cancer research. “I’m so relieved, I can’t wait to get rid of this thing,” Russell told News Of The Area. Boho Beauty Salon’s Katherine Robertson and hairdresser Lorraine Russell were tasked with the clipping, snipping, trimming and shaving, Lorraine, a deft hand with the cut-throat razor. The big crowd joined in the fun, only too happy to further contribute to the coffers. Not only did Russell lose the beard but also one eyebrow worth another $50 donation to his cause. 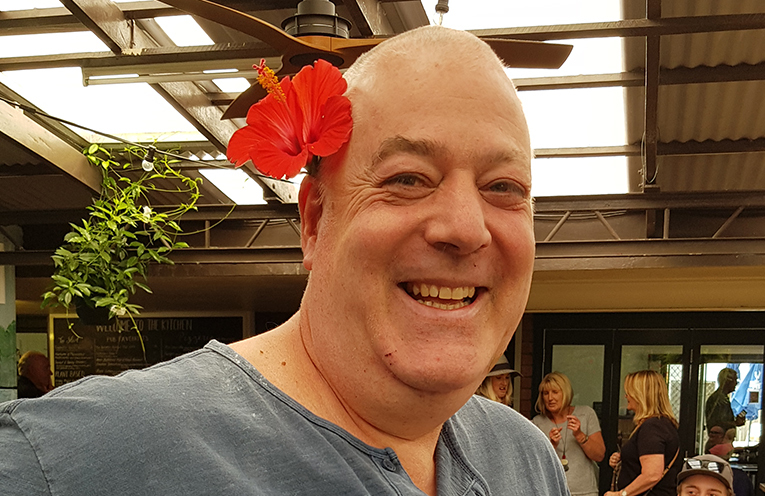 By the end of his shave, there wasn’t a hair left on his head but Russell had raised $3,000 for his charity. 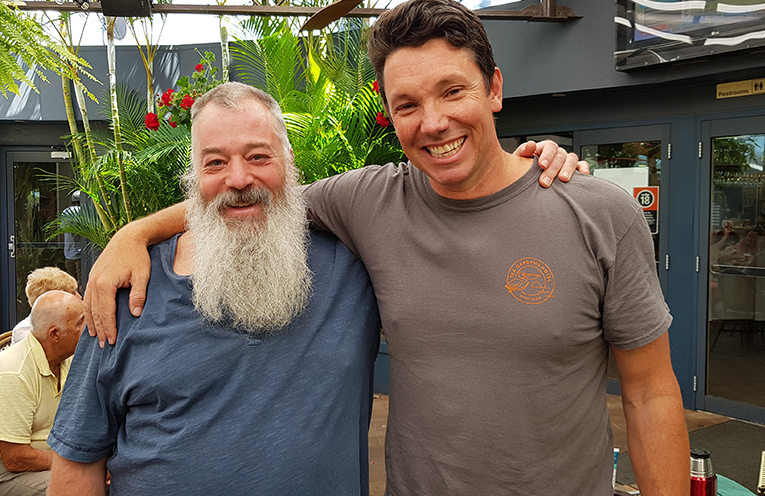 First National’s John Rumble rallied the troops to raise money from Ben Hanson’s quest to help the wife of one of his staff, who’s about to undergo a bone marrow transplant in her long running battle against Leukaemia. A bidding war erupted over who got to keep some of Ben’s locks and just how he was going to be shaved. 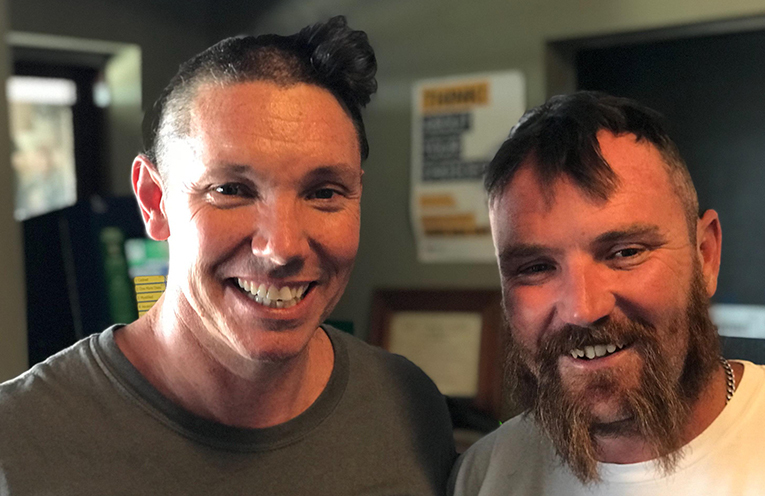 In the end Karen Neeves donated $240 to have Ben shaved right down the middle of his head, leaving the popular publican looking like a cross between ‘Wolverine’ and ‘Larry’ from the Three Stooges. His look went from bad to worse, but by the end of the day, more than $2,000 was raised to help Grace Byfield and her family, as she faces three months of treatment in Sydney. If you’d like to donate to Gracie’s cause head to her GoFundMe page ‘Gracie’s Fight Against Leukaemia’. HAIR TODAY GONE TOMORROW: Russell Turner. 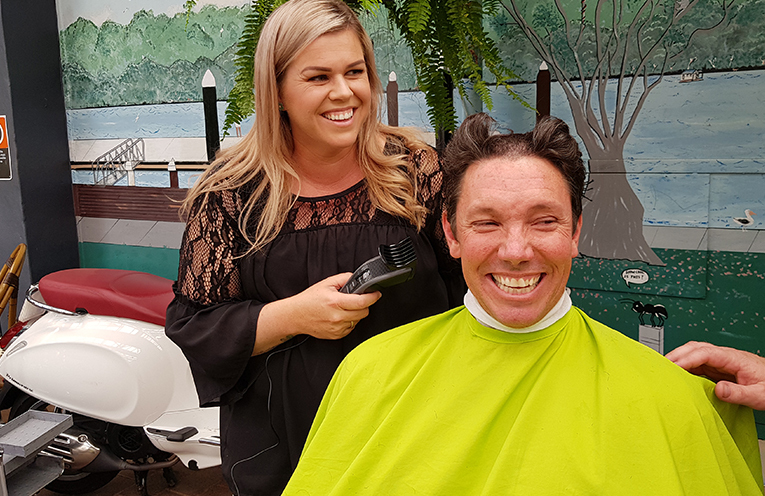 ‘BIG SHAVE’: Tea Gardens Publican Ben Hanson with Hairdresser Katherine Robertson. ‘MOVEMBERS’BIG SHAVE: Ben Hanson and mate Rob raise $1,000 for Gracie’s Leukaemia battle.